Rhea is a Manager at IDFC Institute. In her role, Rhea lends support to the CEO as well as to Resident and Visiting Fellows at the Institute. She also works closely on the IDFC Institute Dialogues and other events hosted by the Institute. 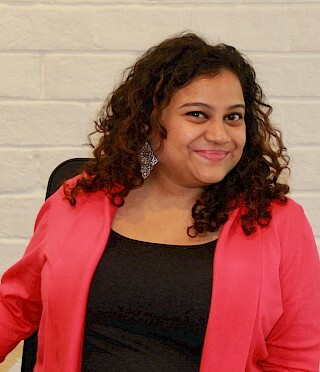 Prior to joining IDFC Institute, Rhea worked at Matrix India Asset Advisors as an executive assistant to the Managing Director and to the Directors of Operations, Finance and Legal. She has also worked at Goldman Sachs (Mumbai) where she assisted the Co-CEO, India and the Equities desk as well as lent her support to the Equities product of Corporate Access, setting up road shows and investor meetings with corporate houses across India. Rhea has earned a Bachelors in Arts and has a Diploma in secretarial studies from Davar’s College, Mumbai.